The Warhammer Community page announced more new Plague Marines overnight. Those of you who know me, know that Death Guard has always been my go-to army. I have built two 40k Death Guard armies and a 30k Death Guard Legion. My first Death Guard army won Best Painted at the 2002 New Zealand Grand Tournament and the second, Best Painted at 2004 New Zealand Grand Tournament. This elicited the immortal quote from Alan Borthwick "I can't tell if they are well painted or just messy". My 30k Death Guard won a Bronze Medal in Armies on Parade. So fair to say, I like my Death Guard. I am keen to build a fourth army but I'm going to put it on the slow cooker until Death Guard lose some of their current "Army of the Month" status. Eventually people will get distracted by the new hotness and us true aficionados of the XIVth Legion can continue our love. However GW are not making it easy. This morning they released pictures of three new Death Guard marines. These are billed as "Easy to Build" so I am guessing snap together with limited reposability. The one on the left has a blight launcher reminiscent of the weapons used by the 30k Death Guard Grave Warden Terminators. I like the Power Fist on the Sergeant (who has removed his helmet). I'll definitely be picking them up. They have also released additional Poxwalkers. Again these are "Easy to Build". I'm personally not a big fan of the Poxwalker aesthetic. The goofy rictus grin just doesn't do it for me. Hopefully, these two releases will be separate so I can give them a miss. 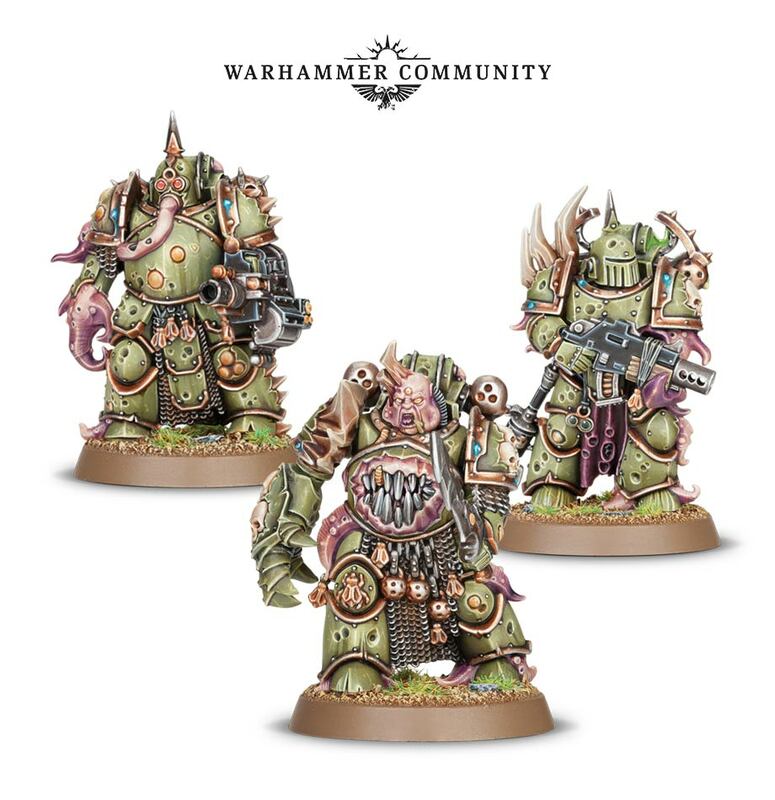 Great to see Death Guard getting more love. I'm looking forward to further releases.